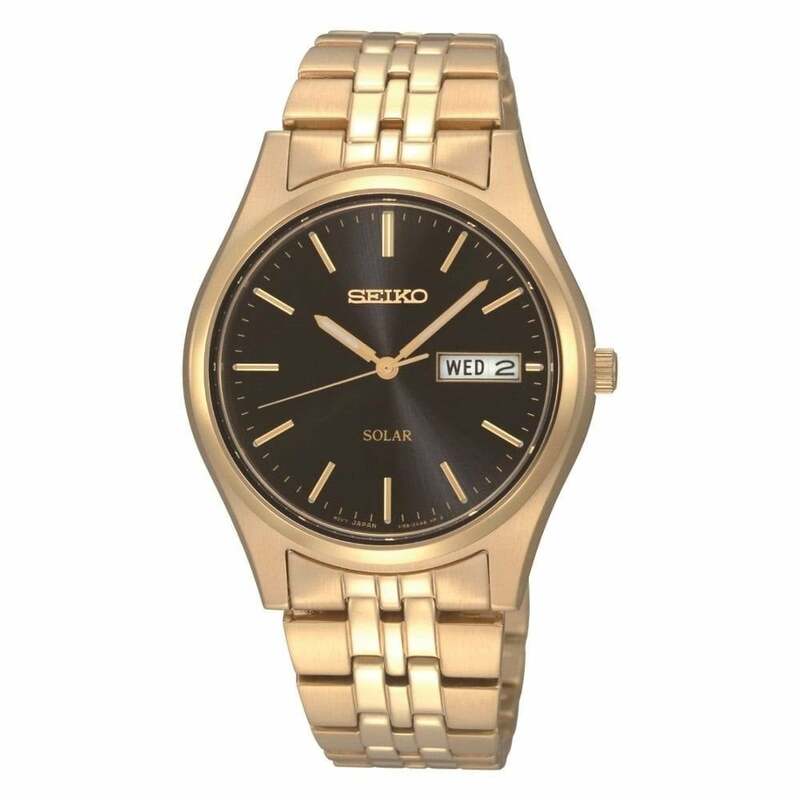 This SNE044P9 Gold Stainless Steel Day/Date Watch comes with a 37mm case and is fitted with a gold plated strap. Fitted with a solar powered movement and a black dial. This watch comes with a 2 year manufacturers warranty and FREE UK delivery.